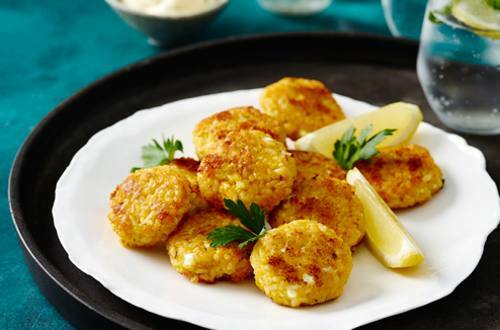 These bite-size fritters are full of flavour and so easy to make. Serve with a salad for a quick midweek meal, and be sure to make a double batch as leftovers are great for lunch the next day! 1 Make Risotto following pack directions using 1½ cups water. Allow to cool and refrigerate until cold. 2 Mix cold Risotto with feta and breadcrumbs and shape into 10 rounds. 3 Heat 1 tablespoon of olive oil and fry fritters until browned and heated through.